At Alpine Meadows, we are lucky to be at the gateway to the amazing Wells Gray Park. It’s easy to fall in love with this awe-inspiring natural paradise. Come for a visit, and discover one of the world’s richest outdoor destinations. In search of fresh air, ancient forests, outdoor adventure, and lifelong memories? You can find all of that at Alpine Meadows Resort in Clearwater BC. Our proximity to six British Columbia Provincial Parks makes this the perfect home base for your quintessential BC experience. The parks offer dramatic and untamed wilds that appeal to adrenaline lovers, and unmatched tranquility for those looking for a more serene escape. Come explore this inspiring, magnificent, natural playground, and discover Alpine Meadows’ beloved and beautiful British Columbia. Wells Gray Provincial Park encompasses more than 5000 square km (1.3 million acres) of pure wilderness. 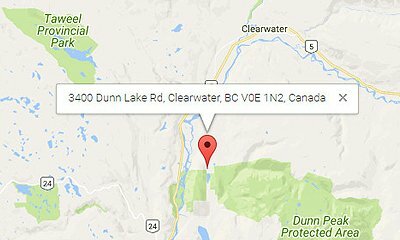 The park lies at the edge of the community of Clearwater, in the heart of the North Thompson Valley, in the Interior of BC. Wells Gray is an ideal stop for travellers driving the Yellowhead Highway, linking Alberta and British Columbia. Endless recreational activities within the park make it a world-class destination for canoeing, rafting, kayaking, fly-fishing, hiking, and wilderness adventure. Visitors to the park are rewarded with tranquil lakes, rushing rivers, lush alpine meadows, majestic forests, dramatic peaks, amazing wildlife, and more than 39 impressive waterfalls. Wells Gray Provincial Park truly captures the essence of British Columbia. Wells Gray Provincial Park is just one hour’s drive from Alpine Meadows Resort. Dunn Peak Park stretches from the North Thompson River in the west to the bottom of Harper Creek in the east. This large, protected wilderness boasts thriving wildlife, outstanding recreational opportunities, and spectacular mountain scenery. Much of the area is given over to undisturbed, old-growth forest, and numerous lakes. Remarkably, snow-capped mountain peaks punctuate the sky all year-round, here. Located near Little Fort, BC, Emar Lakes Provincial Park boasts a chain of gorgeous lakes and wetlands in a lush forest setting. Popular for paddlers, this park also boasts several excellent fishing spots. Located near the confluence of the Clearwater and North Thompson Rivers, the park includes a riverside picnic area, an adventure playground, and many hiking and biking trails. The park is open from May to September. Taweel Provincial Park is remote, and does not have day-use facilities, but intrepid adventurers know it’s a treasure worth exploring. Visitors enjoy paddling or fishing on beautiful Taweel Lake, or hiking the network of trails to the smaller surrounding lakes. Please note: there is no vehicle access within the park. This protected riparian area adjacent to the Upper Adams river takes the form of a linear park, connecting Adams Lake to Tum Tum Lake. Ancient, undisturbed wetlands and a flourishing salmon habitat offer a glimpse into the natural history of the region.